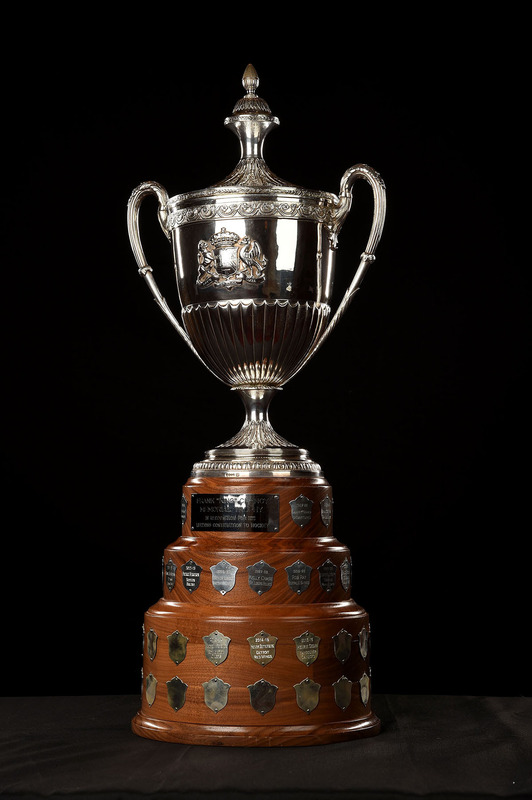 An annual award &ldquo;to the player who best exemplifies leadership qualities on and off the ice and has made a noteworthy humanitarian contribution in his community.&rdquo; History: The King Clancy Memorial Trophy was presented to the National Hockey League by the Board of Governors in 1988 to honor the late Frank &ldquo;King&rdquo; Clancy. Vancouver Canucks center Henrik Sedin is the recipient of the King Clancy Memorial Trophy. Sedin leads the franchise in games played (1,166), assists (748) and points (970), but his indelible mark in the Canucks&rsquo; record book only tells a portion of his impact on the club. Sedin generously donates his time and funds to children in his adopted province of British Columbia. He is the face of the Jeans Day provincial fundraiser; makes frequent hospital visits to brighten the lives of children dealing with serious illnesses; and opened Sedin Corner, a 14-person suite at Rogers Arena donated exclusively to charity groups for each home game. One of his most notable contributions was a joint $1.5-million donation, alongside his wife, brother and sister-in-law, given in 2010 to build a brand new children&rsquo;s hospital. In addition to the work Sedin does with the Canucks, he also has established a charitable foundation - along with his brother Daniel - to reach more people in the community. In 2015-16, their Sedin Family Foundation created Clubhouse 36, which provides a safe, structured out-of-school program for children ages six to 12 to learn, build confidence and have fun. Having served as captain since 2010-11, Sedin was thrust into a new position in 2015-16 as a response to the increased integration of youth as nine Canucks players made their NHL debuts. It was a role in which he prospered, acting as a role model for both younger and veteran teammates. The King Clancy Memorial Trophy is named in honour of Francis M. &quot;King&quot; Clancy, a former player for the Ottawa Senators and Toronto Maple Leafs who later went on to become a coach, referee, and team executive. The trophy was first awarded in 1988, and was presented to the National Hockey League by its board of governors.